Science Fiction has a reputation — deserved, I think — for being an inhospitable market for non-English writers. Some of the great science fiction writers of all time, like Jules Verne, Jorge Luis Borges, Stanisław Lem, Arkady & Boris Strugatsky, Pierre Boulle, Elizabeth Vonarburg, and Karel Čapek, wrote in languages other than English…. but remarkably few found real success with American readers. But that’s changing rapidly as the world gets smaller, and the American appetite and appreciation for international culture grows, especially among the young. Japanese anime, manga, and videogames have been hugely popular in the US for decades, and that helped open the door for Asian cinema, Bollywood, K-pop, Afrofuturism… and much, much more. Clarkesworld magazine has published a Chinese SF story in translation every issue for the past two years, and writers like Cixin Liu (The Three-Body Problem) have achieved breakout success in the U.S.
Ken Liu (The Grace of Kings, The Paper Menagerie and Other Stories) has been at the forefront of the Chinese SF invasion, as both promoter and translator. 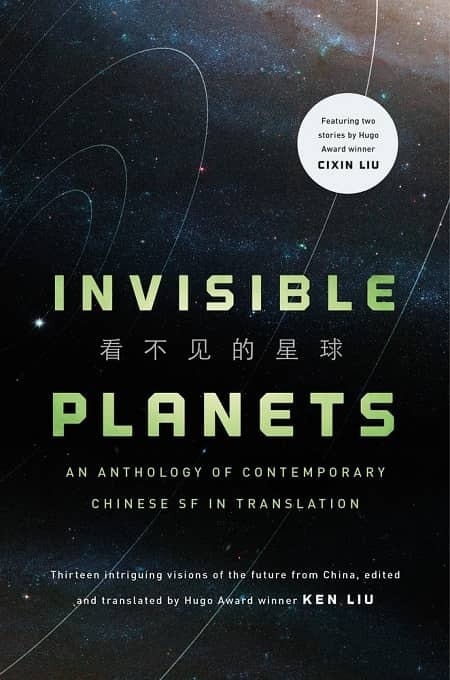 Invisible Planets, his 2016 anthology of contemporary Chinese SF in translation, came in #2 in the Locus Poll for Best Anthology. 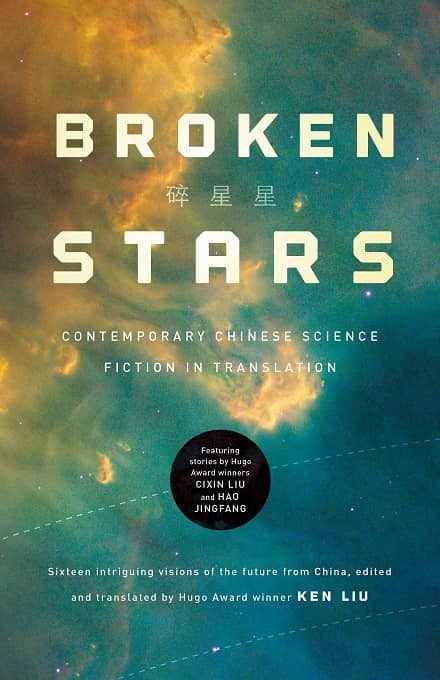 This month he builds on that success with Broken Stars, a brand new collection of 16 short stories from Liu Cixin, Hao Jingfang, Xia Jia, Chen Qiufan, and many others. It also includes three essays that explore the history of Chinese SF, survey modern Chinese fandom, and the impact of the growing popularity of SF in China. Broken Stars arrives in hardcover from Tor on February 19. Ken Liu and Cixin Liu at the 2015 Nebula Awards weekend. Photo by Keith Stokes. In addition to his short story translation work, Ken Liu was the translator for the bestselling The Three Body Problem by Cixin Liu. Here’s the description for Broken Stars. See our coverage of Invisible Planets here. Broken Stars will be published by Tor Books on February 19, 2019. It is 480 pages, priced at $27.99 in hardcover and $14.99 in digital formats. See all our recent coverage of the best upcoming SF and fantasy here.